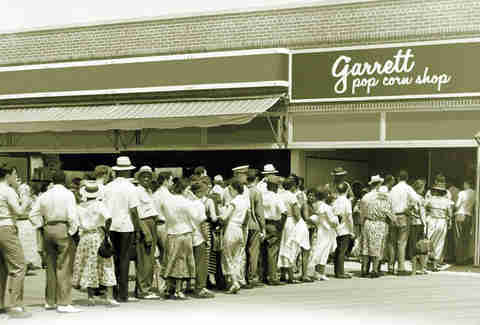 For 65 years, people have been lining up for Garrett Popcorn, leaving with cheddary fingers and bags of popcorn they don't intend to eat in one day (but ultimately do). 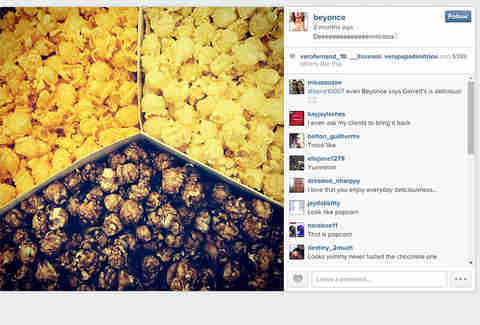 The popcorn has spread from a Wisconsin family competition to a staple food in Chicago and a 30+ shop operation worldwide, a large enough footprint that you should probably know a little bit about them. 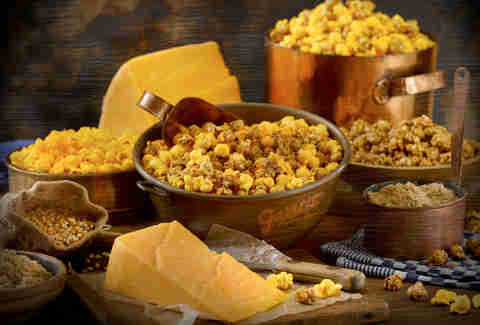 Born out of a family competition to see who could make the best caramel corn, the popcorn recipe was carried over from the Garrett's Milwaukee home to their first Chicago shop at 10 W Madison, which opened up in 1949. Family members took turns kettle stirring, mixing, and taste-testing ingredients for freshness. Butter is one of those ingredients. 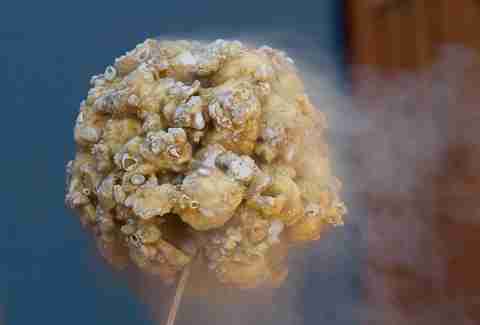 Taking a page out of the Dippin' Dots handbook, Garrett's brings you the popcorn ball of the future, flash-frozen on the stick by liquid nitrogen. They've moved thousands of these during previous Taste of Chicago festivals and still make them for special occasions. 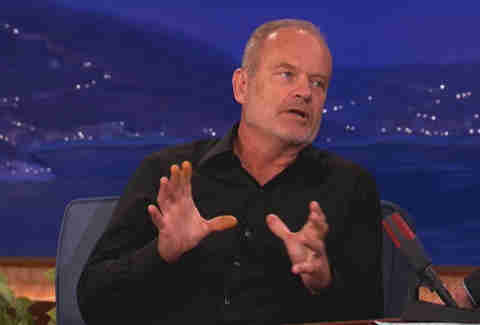 Ever-vigilant fans of Conan's late-night show noticed during Kelsey Grammer's 2012 guest appearance that his fingers weren't, well, finger-colored. After an internal investigation, Coco found the root of the issue: popcorn dust from the Garrett Mix stocked in the green room each day. On the original Garrett menu, caramel and cheddar were separate entities. 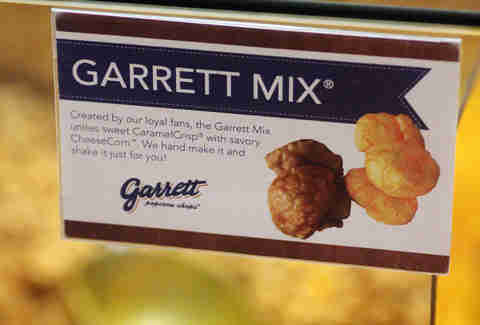 The Garrett signature mix was born around 1977 from customers who would habitually order one bag of caramel, one bag of cheddar, and a third empty bag (so they could mix it themselves). Of the Gopher State's transgressions over the past few decades (starting Tarvaris Jackson, etc. ), this one is by far the most boo-able. Back in 1992, a small St. Paul-based chain called Candyland patented the trademark for "Chicago Mix" and even sued Garrett this year for using the name of the product they created. 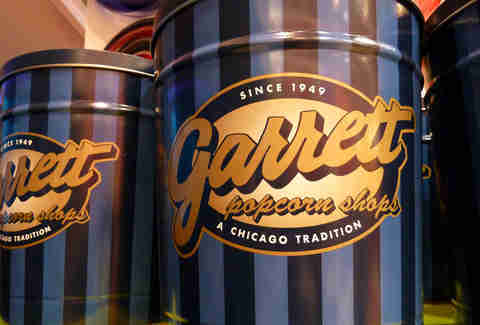 While the official name of the caramel/cheddar blend is now "Garrett Mix", if "Sears" and "Comiskey" are examples, old names die hard with locals. 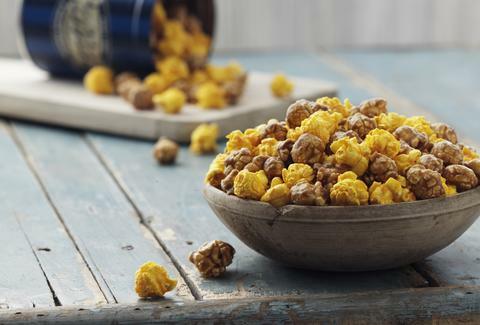 The kernels are popped by hot air instead of oil and then mixed with molten caramel inside copper kettles that have been conditioned for generations in some instances. Once blended, each piece is separated to avoid sticking into a giant wad of caramel corn, although, if we're being honest with ourselves, someone would probably eat that. And 20,000 bags of brown sugar. God bless them. Sean Cooley is Thrillist's Chicago Editor, and he's solely responsible for the BOOK IT! Program coming back. Follow him @SeanCooley.